Global 6sigma.com also offers Lean Certification and Training courses in Dublin, Ireland for: Lean Six Sigma, Design for Six Sigma, Green Process Management and Minitab. The unemployment rate in Ireland has recently dropped to almost 10.1 percent from the 10.3 percent rating that was reported back in January 2015. From the year 1983 all the way to 2015, the unemployment rate averaged at 10.97 percent, reaching a record low of 3.70 percent in 2001, and a high of 17.30 percent back in 1985. The unemployment rate has now been decreasing in Ireland since the past ten months, and in a place where a population of almost 1,273,069 people resides, the statistics predict possible growth in the number of job opportunities available in the future as well. 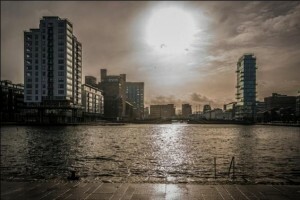 There are numerous foreign direct investors that have made home in Dublin, ten of the top global ICT organizations and nine of the biggest software companies, which employ almost 48% of all the candidates from the Dublin region. In 2013, more than 13,000 job opportunities were created and Dublin was ranked highest for the place that accommodates the largest number of skilled employees in the world. In a complex business and organizational eco-system, employees need to have traits that set them apart from the rest of the candidates to make a lasting impression and then eventually, get hired. A Lean Six Sigma Certification can help you attain a job well worth your skills, in any organization that is looking for competitive employees. What Difference can Lean Six Sigma Certification Make? Most candidates make up their minds without even finding out more about it, and hence miss the opportunity of training themselves to get better jobs. A lean Six Sigma certification program can help counter all your professional and personal problems, particularly the problems that you face within the workplace. Here is why a Lean Six Sigma Certification can make a huge difference in virtually any job that you aim to get hired for. Teamwork & Leadership – most people find it hard to work within a team, but they lack the efficiency that working together, or even working solo, requires. The Lean 6 Sigma training program can help individuals in beating all these limitations by not only teaching them the tricks of working with a team, but also equipping them with the traits that enable them to do it more effectively. More than just effective team working abilities, the Lean Six Sigma Certification trains you to lead any team in an influential manner and see any project through to till its completion. Exceptional Analytical Skills – Lean Six Sigma Certification and Training imparts the knowledge of a variety of tools that each candidate has at their disposal, and teaches you to make use of each tool effectively. Problem Solving Skills – workers often tend to encounter many hurdles in the process of performing any nature of tasks within the workplace, and a Lean Six Sigma Certification helps any individual gain a comprehensive understanding of how to solve any issues that they may face during any organizational procedures. 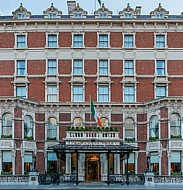 Boasting a picture-perfect location overlooking St. Stephen's Green, just moments from some of Dublin's most famous historic landmarks, The Shelbourne successfully marries traditional splendour and contemporary convenience. Stretch out in a newly refurbished guestroom, with amenities including laptop-sized safes, iPod docking stations and beds with Egyptian cotton sheets. Marble bathrooms feature deluxe bath products and robes and slippers. Start or end your evening at one of the several inviting bars; No.27 or The Horseshoe Bar; before heading to the signature restaurant, The Saddle Room. Planning a meeting or event in Dublin? Take advantage of their versatile event rooms, including exhibition space, and plan your gathering from start to finish with the help of their dedicated team. Whatever your reason for joining, rest assured that the staff at The Shelbourne Dublin, A Renaissance Hotel will make your stay truly remarkable.